John Brightwell’s lifelong passion has always been about boating. 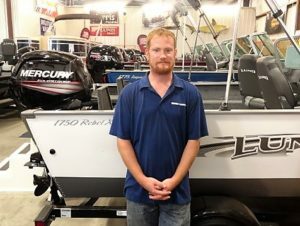 After dedicating over 40 years of his life to marine customer service with other boat dealers in Iowa, in July 2007 John and his wife Leslie opened Brightwell’s Boathouse Inc. in Urbandale, later moving to a location where the store now is, just south of Grimes. 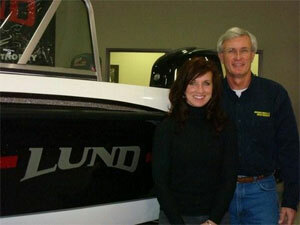 His passion for boating began when he was about 5 years old at his dad’s boat business in downtown Des Moines, Iowa. John’s dad sold Larson, Naden, Thompson, Chetek, Yellow Jacket and Brunswick boats and he was one of the first boat dealers in Iowa to sell Mercury Outboard Motors. 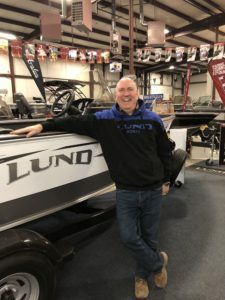 The entire staff is very proud of their new location in Grimes, Iowa and are very excited to be joining a fine group of boat dealers in Iowa who work hard to promote a fun family boating experience. Thanks for your interest in BRIGHTWELL’S BOATHOUSE and the opportunity to serve all of your boating needs. Contact John Today! 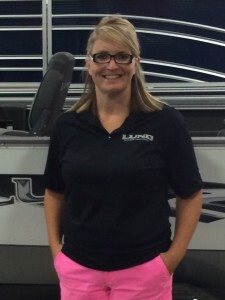 Leslie Brightwell’s love of boating began with annual trips to Leech Lake as a young girl with her parents and family. Those experiences led to a love of boating for her parents as well who have a boat and home in Charlevoix, Michigan. The family spends a lot of time there each summer and also time skiing and snowmobiling there each winter. 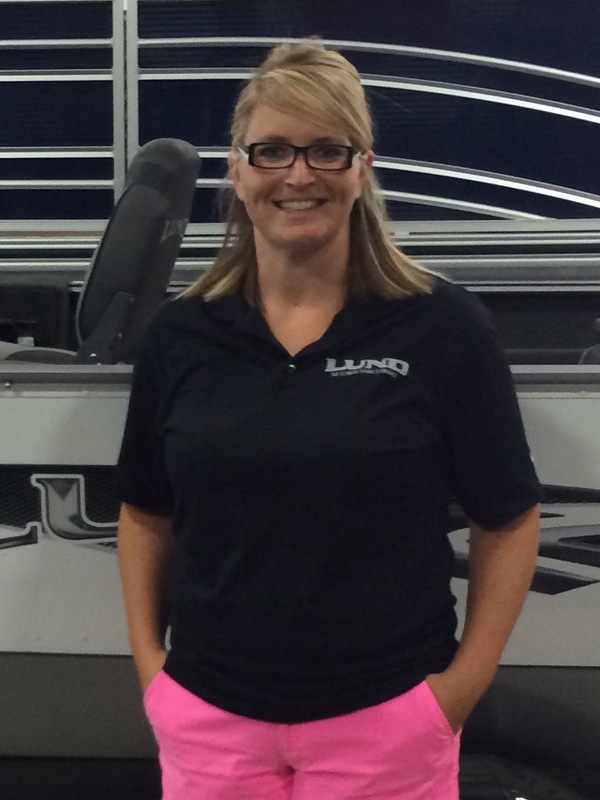 Along with boating, Leslie also has a passion for travel and horses. Leslie and daughter Ashley showed horses for many years together, and are still involved in horse activities and functions. She enjoys living with John, son Ross, and John’s daughter Cassie on their acreage west of Adel. Contact Leslie Today! Ashley Zika started her career in the marine industry in 2003 working part time for John and has been at Brightwell’s Boathouse since it opened in 2007. 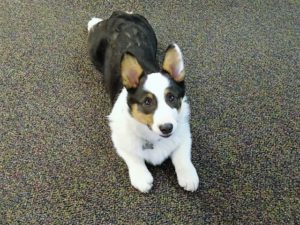 She does the office work and helps out with parts and accessories sales. Ashley enjoys spending time with her family going boating, camping, and snowmobiling, as well as spending time with horses. Most days you will find her 2 little girls tagging along with her to work. Ashley lives outside of Adel with her husband Jamie and their girls, Jaylee & Jentry. Contact Ashley Today! Randy Brightwell switched to the marine business in 1987 after 16 years in automotive service and parts. 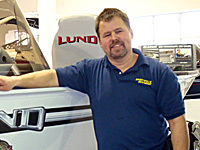 Now with 30 years behind him in repairing and servicing stern drives and outboards, Randy is a great asset to business. 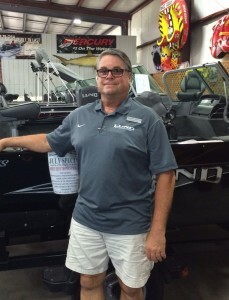 An avid boater and fisherman, Randy is a member of the Des Moines Powerboat Club, and the Izaak Walton League. Most weekends May thru September, Randy can be found on the Des Moines river enjoying boating and maybe catching some fish. Randy also enjoys riding his bike on the Des Moines and Saylorville bike trails. John is very proud to have his brother Randy join the team at Brightwell’s Boathouse. With Randy’s experience, organization and commitment we are extremely fortunate to have him. Contact Randy Today! Dave Freylack has grown up around boating, spending many of this boating days on the Des Moines River. In 1968 his family opened “Birdland Marine” where Dave spent 26 years serving Des Moines boaters and the marine industry. The Des Moines floods of 1993 took out their store. Dave and his wife Peggy have two grown daughters Lindsay and Sarah. In his spare time you can find Dave fishing or working on his antique outboard collection in his “galodge”. (Ask Dave the definition of “galodge” and about all of his antique boating equipment!). Dave also enjoys following motor sports and cooking. John and Dave have know each other for many years thru the Marine Industry and Dave is very excited to join the “Brightwell’s Boathouse” family. As he knows, we always put the customer first! Contact Dave Today! 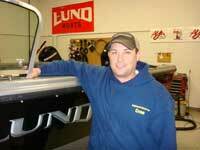 Cory Cogley has grown up around boating and fishing and working in marine industry since 2002. Starting out as a shop technician and moving on to sales, which he currently does here. Cory graduated from DMACC and has Mercury certifications. Cory is on the LUND and Mercury Pro Staff and participates in many fishing tournaments over the summer. He enjoys any time on the water and especially with his family and 2 kids, Brooklyn & Barrett. He also enjoys Cheifs football games! Nathan Lundeen joined the sales team in October 2017. He grew up in Minneapolis MN and in the summers spent time at the family cabin in the Brainerd lakes area in Minnesota. After college he moved up to the Brainerd lakes area and lived there for 24 years. 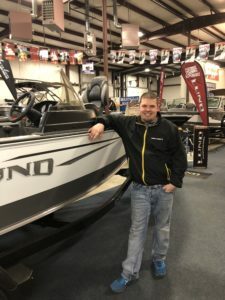 During his time in the Brainerd lakes area Nathan owned his own guide service and custom boat rigging as well as having some boat sales experience at two dealers in the area. Mark Ellison is from the Ankeny area and grew up camping and fishing with his family. 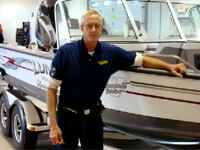 He started in the boat business in 1983 at Des Moines Boating Center and worked in the boating industry for 10 years. In 1997 Mark took up residential construction but continued to work on boats on his own. Mark is very knowledgeable in the marine service area and has attended school and has practical experience in OMC, Mercruiser and MercOutboard. Mark has also completed the following courses with Mercury Marine; Marine Tech Fundamentals, Fuel Systems, Electrical Systems, Outboard Systems and Mercruiser. Mark has know John and Randy for many years and is excited to be back in the boating industry. He looks forward to seeing many old friends and faces. Mark and his wife Terri have a daughter Shelbee. In his spare time enjoy fishing and boating on the Des Moines River. Contact Mark Today! Ben Nelsen grew up in a small town in northwest Iowa which started his love for the outdoors. He attended Iowa Lakes Community College majoring in marine and small engines. Since graduating Ben has been a mechanic in the marine business for the over 15 years. Ben has kept up to date on all of the continuous changes in the marine business by attending classes at Mercury University, completing classes from old motors to current Mercury models and everything in between. During his free time Ben enjoys many outdoor hobbies. He is an avid fisherman and enjoys bass tournaments on occasion. He loves to hunt, snowmobile, and anything on the water. He also enjoys playing pool during the week. 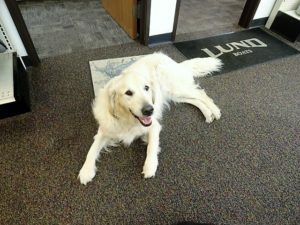 Ben is currently living in Ankeny with his wife Kim their son Kalen and their three cats. Contact Ben Today! Skylar Strum joined us in June of 2016 as a service technician. Skylar graduated from WyoTech University with a degree in Advanced Marine Technology where he spent 1500 hours of lab + theory. Skylar also has a diploma in Advanced Diesel Technology. His certifications include: EPA 609, EPA HVAC, Mercury E-Skills, and Yamaha 5 Star. Stop in and you might be greeted by one of these 2 as well!